(Sleazy Records) 4-Track Vinyl EP - 45 rpm, picture cover, large inner hole for the juke box. 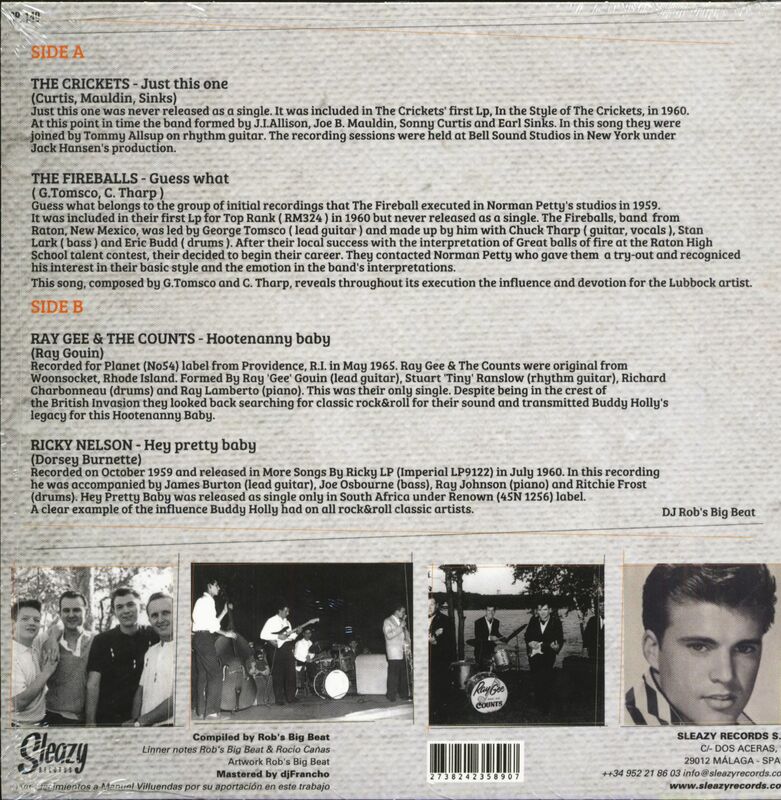 Four artists and four tracks related to Buddy Holly! 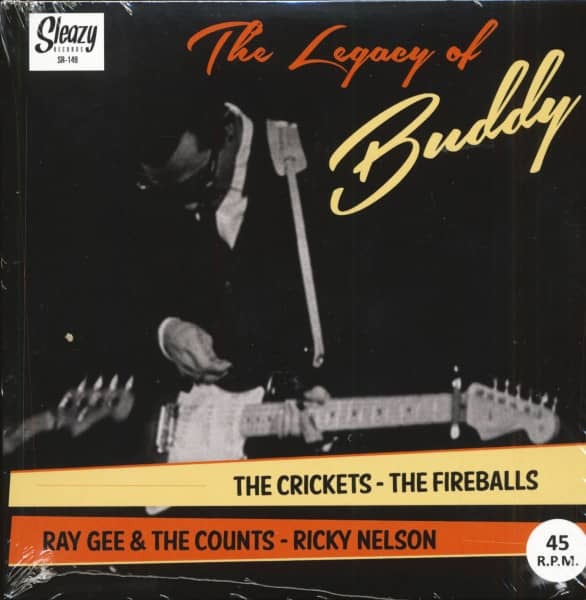 Customer evaluation for "The Legacy Of Buddy (7inch, EP, 45rpm, PS)"